It’s at this time of year that I thought it was a tradition for the British people to head out to the Real Estate Agents and start bidding up the prices of already over priced housing. This summer though it’s starting to look like that might not happen. Even the new coalition government don’t seem keen to ramp up property and property prices. Of course they are acknowledging that the country no longer has any money however the previous government seemed to always find some way to ramp prices and keep the plates balanced and spinning. This month has seen both prices and mortgage approvals turn down. Who knows if this continues for a couple of years maybe we might even get to the point where instead of the government forcing builders to build “affordable housing” (or as I have eloquently seen these properties referred to elsewhere, slave boxes) instead maybe we might just get housing that is affordable. What a novel idea. Let me first look at prices. Nationwide this week released its July figures which as always I will turn into Real figures by adjusting for inflation. 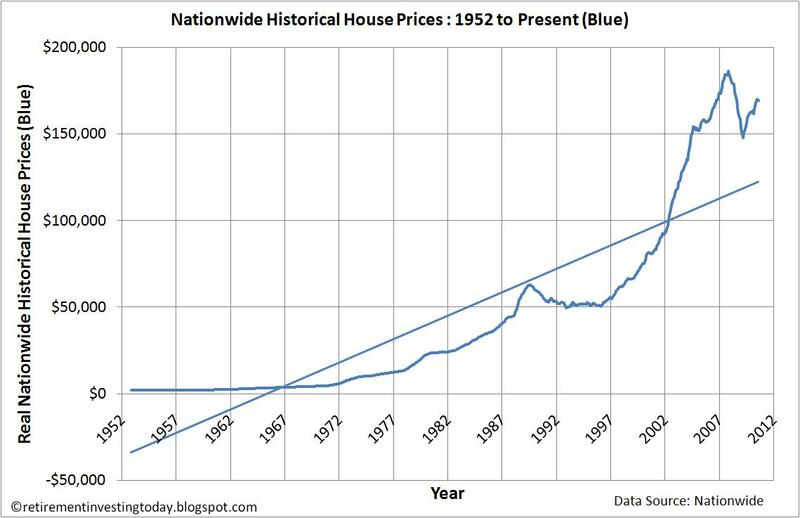 This is today’s 1st chart which shows the Real (inflation adjusted) Nationwide Historical House Prices. This month we have seen real prices go from £170,496 to £169,347 which is a fall of £1,149 or 0.7%. 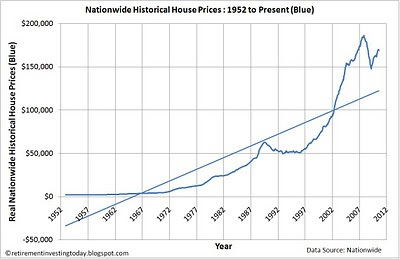 Year on year prices in Real terms are now only up 1.3%. Of course one month does not make a house prices correction however given the government doesn’t seem interested in propping up prices, unemployment about to trend up as the axe is taken to the public sector and average weekly earnings falling we might just start to see prices start to fall back to somewhere sensible over the medium term. The very good book by Phillip Anderson entitled the “The Secret Life of Real Estate : How it moves and why” talks about an 18 year property cycle. Chart 2 shows the Nationwide index in nominal terms for reference. Anderson suggests the first 14 years sees property prices reach a peak. 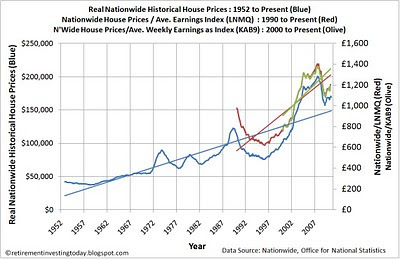 Looking at the chart the previous bottom for house prices was November 1992 and the peak was October 2007 so that seems pretty close at just under 15 years. He then goes on to say that there is a period of about 4 years during which property prices fall so that would put us 15 or so months from today. I guess only time will tell. I also think that given the amount of government manipulation of the market over the past few years that that time period to the bottom could also be extended a little. 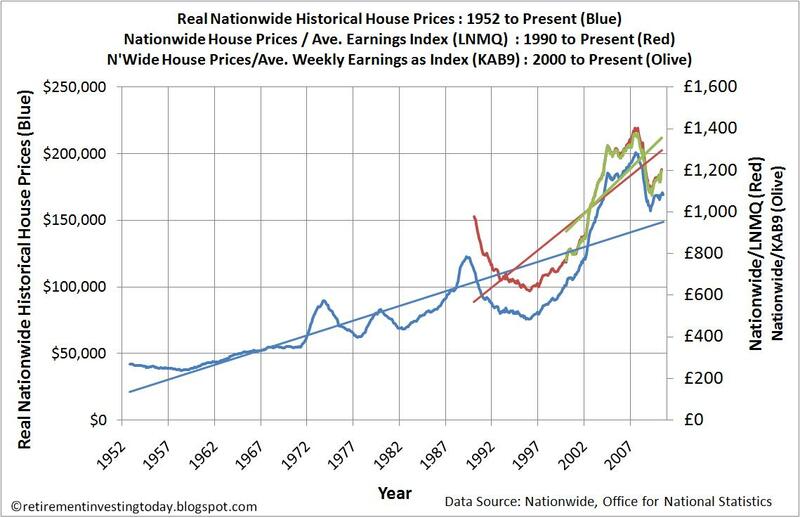 My 1st chart also shows the affordability of housing by comparing prices with average earnings. 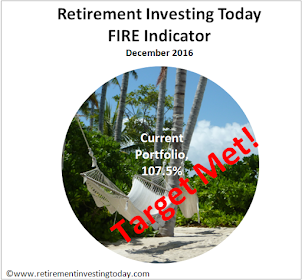 In past posts on Retirement Investing Today I have used the average earnings index for the whole economy which included bonuses. Depending on my mood and the post I either used seasonally adjusted or non-seasonally adjusted figures (LNMM or LNMQ). Unfortunately as of September 2010 the Office for National Statistics has decided they no longer want to use this measure and instead will shift to using Average Weekly Earnings. 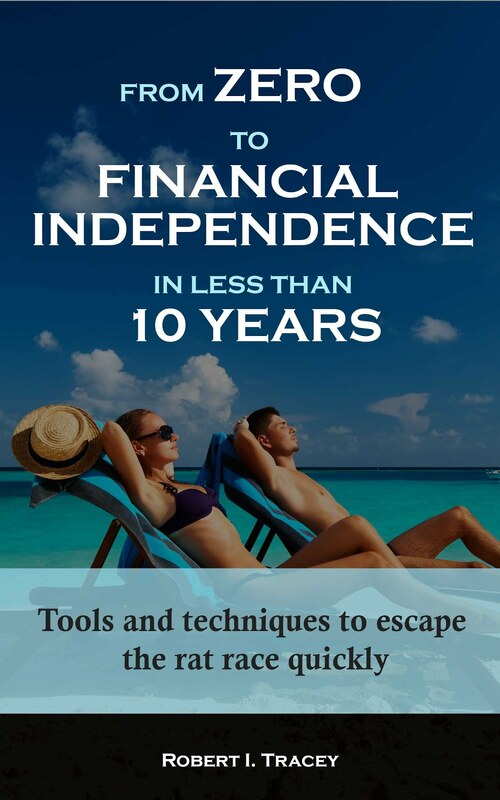 I will therefore now use Average Weekly Earnings, KAB9, which is the equivalent of LNMQ. I have also converted these earnings into an index so that I can continue showing the charts I do. For transparency I will also overlay LNMQ and KAB9 as an index as the divisors on my charts while ever I can. 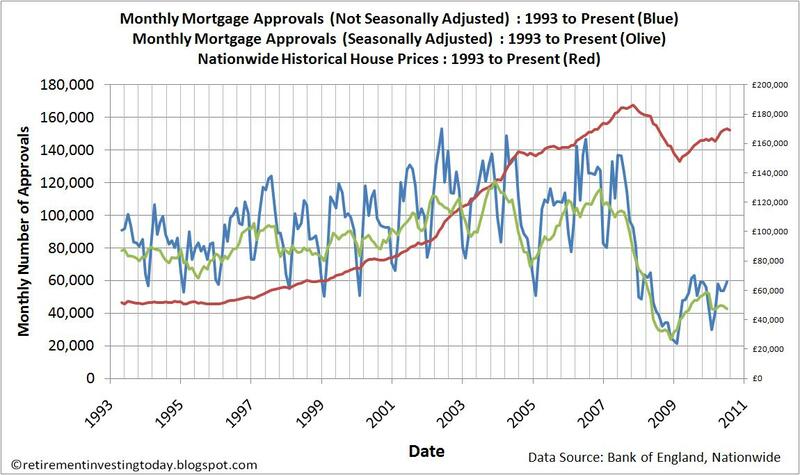 Unfortunately for me (and many others) the 1st chart shows that housing affordability is continuing to decline. Of course it’s still nowhere near as bad as a few years ago however it is still declining at this point in time. The reason for this is shown in chart 3. 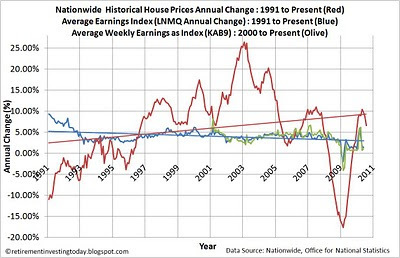 While the annual change in house prices is falling the annual change in earnings is falling at a faster rate. 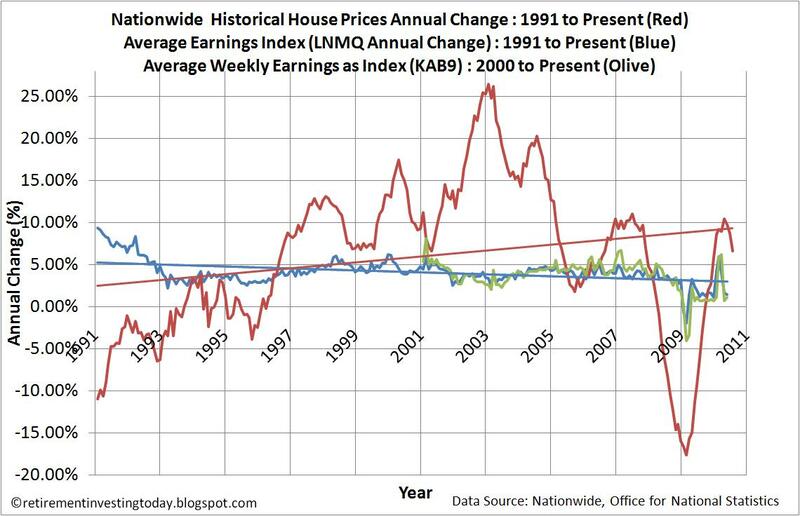 In May 2010 which is the last KAB9 data point year on year earnings had only increased by 1.1% which is a lot less than RPI inflation of 5.1% and house price inflation of 9.8% for the same period. My 4th chart today shows that not only are prices falling out there but also the number of people obtaining mortgages is also falling. Maybe supply and demand may be beginning to be allowed to work in this market once more. Seasonally adjusted month on month figures show a decrease from 49,461 to 47,643 (down by 3.7%) and year on year we see a decrease from 50,707 to 47,643 which is a fall of 6.0%. I personally continue to sit on the sidelines and watch. Who knows one day I might even be able to buy a house for my family. - Nationwide data is to July 2010. - All earnings data (LNMQ, KAB9) is to May 2010. 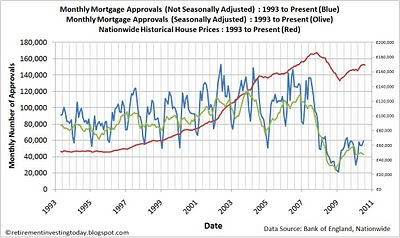 - Mortgage approvals (LPMVTVU, LPMVTVX) are to June 2010. - RPI data is extrapolated for July 2010.